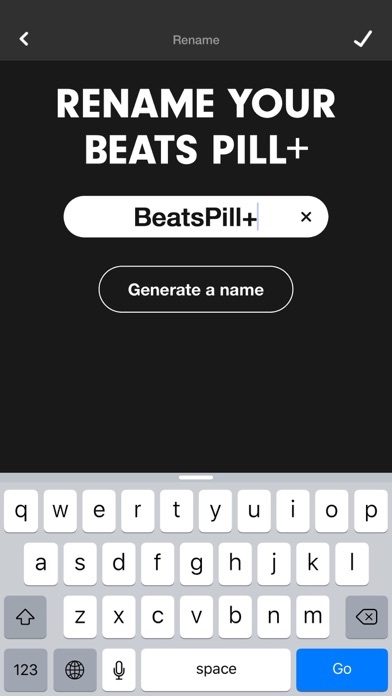 Download the Beats Pill⁺ app to unlock features that put you and your friends at the center of your music like never before. 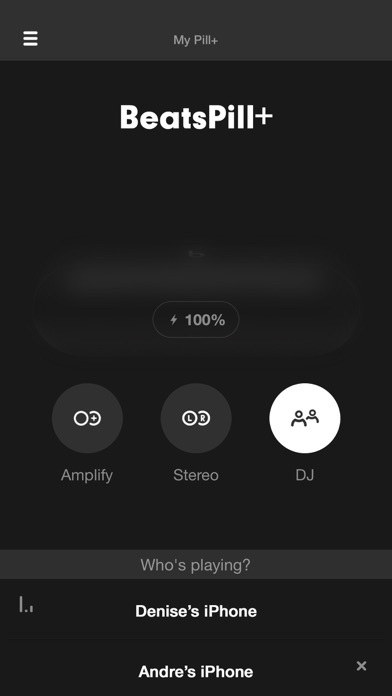 Developed exclusively for the Beats Pill⁺ speaker, now you can control your speaker in multiple ways straight from the app. Bring a second Beats Pill⁺ speaker into the mix for even more innovative ways to play. PLAY AND SHARE Just turn your Pill⁺ speaker on and look for the pulsing ‘b.’ Then, go to your Bluetooth® menu, select your speaker, and start playing. DJ – Grab a friend and control the music from two Bluetooth® sources. Amplify – Add a second Beats Pill⁺ speaker into the mix and simultaneously play from both for a sound that’s twice as full. Stereo – Use two Beats Pill⁺ speakers as left and right output for an even more dynamic sound experience. 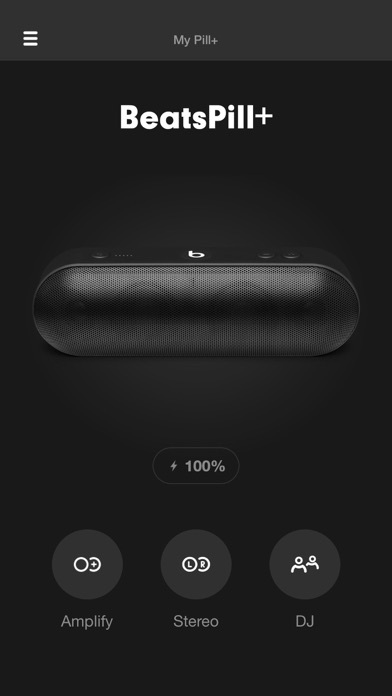 EVEN MORE ACCESS - Like the Beats Pill⁺ speaker, the app has a sleek interface and is intuitive to use. 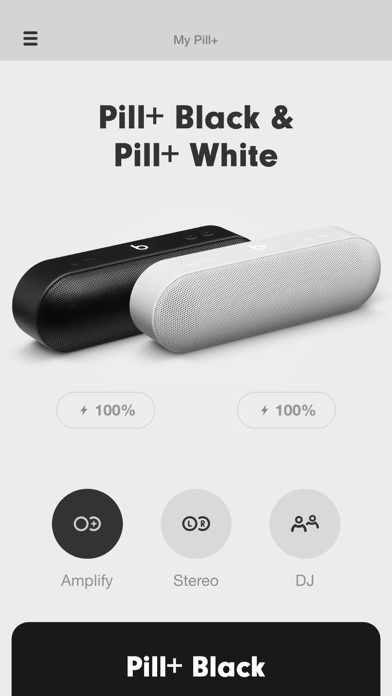 - Connect to your Beats Pill⁺ speaker from two audio sources. - Unlock more ways to play with two Beats Pill⁺ speakers for even more dynamic sound. 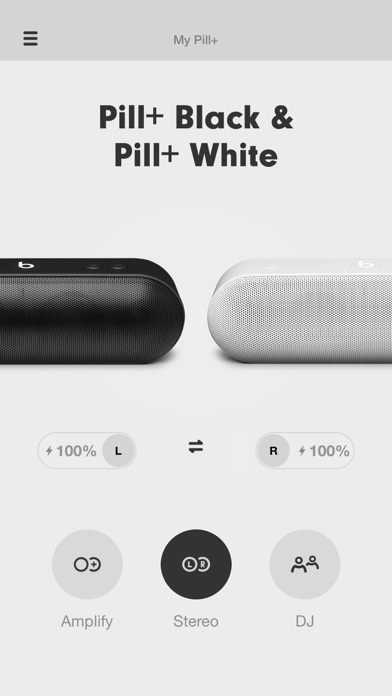 - Keep track of your Beats Pill⁺ speaker power levels so you always know how much battery is left. - In Amplify, adjust the volume of two speakers wirelessly from your external Bluetooth® source. - Get additional software updates and product support. Analytics is designed to protect your information and enable you to choose what you share. Apple collects analytics information about your Beats Pill+ app and Beats Pill+ speaker, such as the device software versions, device rename occurrences, and device update success and fail rates, in order to improve the product. None of the collected information identifies you personally. The information collected will only be used by Apple to improve the quality and performance of the Beats Pill+ app as well as the Beats Pill+ speaker. Only one type of beats speaker works. Are you kidding me??? They could Add 2 stars to my rating with an EQ. There is nothing bad about the app, it just doesn’t do much. Is possible to powr ON the pill with the app? The Pill inherently has an annoying amount of overdriven bass. And there are no equalization settings for this speaker whatsoever, not on the pill or the app. Apparently the bass and treble settings that we had back in the 70s are overrated. Would have liked to use the app but it doesn’t work with other beats speakers.